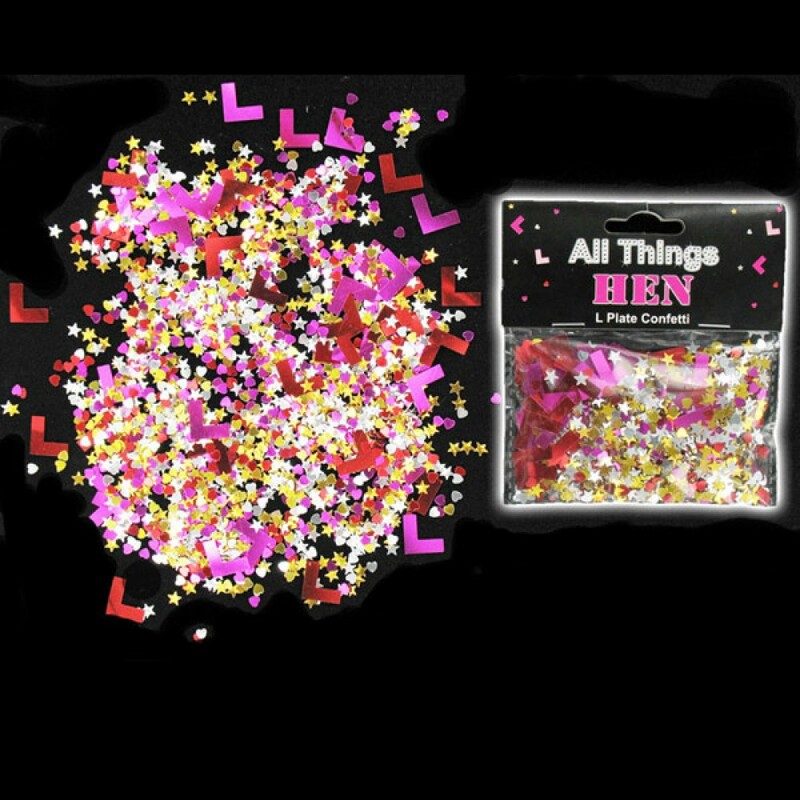 Pack of Stars, Hearts and L Plate Confetti – perfect for Hen Party table decoration or fun to throw over the Bride to Be! Sparkling Pink, Red, Gold and Silver Confetti, with ‘L’ Plates and mini stars and hearts! Bring a little sparkle to any Hen Party – either throw over the ‘Bride to Be’ for instant laughs or perfect decoration for any venue!